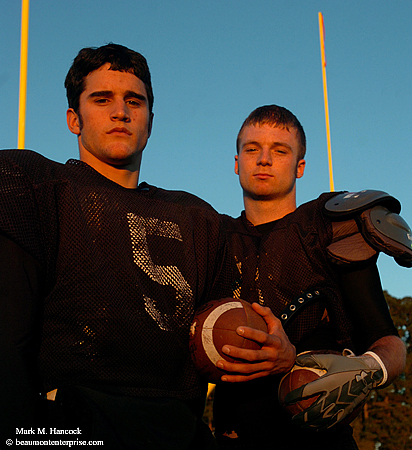 Kirbyville's quarterback Aaron Hazlewood (left) and receiver Randy Musgrove (right) pose for a portrait at Kirbyville High School in Kirbyville on Tuesday, Nov. 27, 2007. The duo have helped push the team deeper into the playoffs. 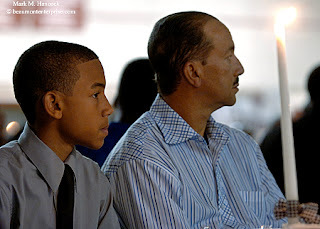 Mark Daire, Jr., 14, (left) and his father Mark Daire, Sr. (right) listen to the featured speaker during the Boys To Men program at Central High School in Beaumont on Wednesday, Nov. 7, 2007. 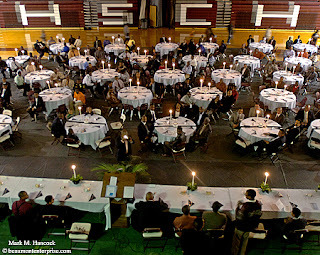 Guests listen to introductions during the Boys To Men program at Central High School in Beaumont. 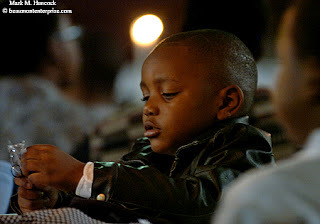 The program seeks to pair young men with positive role models within their family, the school or community. Jacob Kennebrew, 4, works on his engineering skills with plastic forks during the Boys To Men program at Central High School in Beaumont. Please read, "Central introduces mentoring program for boys" by Dee Dixon. 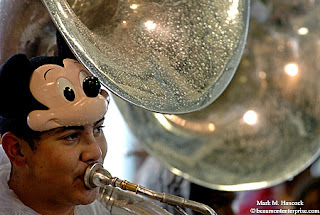 West Brook sophomore Stephen Young plays a Sousaphone under the stands before the Class 5A Division II area-around playoff game against Fort Bend Clements in Houston on Saturday, Nov. 24, 2007. 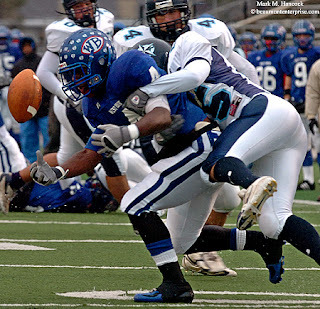 West Brook's Christine Michael (No. 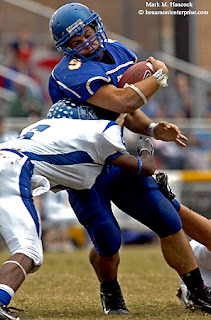 33, center) drags Fort Bend Clements' Kyle Hoke (No. 7, bottom) as Dylan Thorwaldson (No. 25, left) moves in to assist during the playoff game. Michael rushed 20 times for 175 yards and three touchdowns during the game. West Brook's Joshua Powdrill (No. 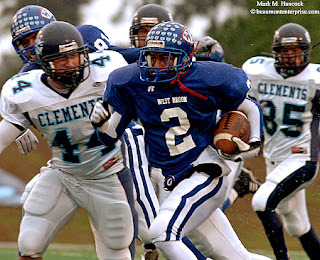 2, center) powers for yards during the playoff game against Fort Bend Clements. West Brook fans Karen and Chuck Sayles of Beaumont cheer for the Bruins during the playoff game against Fort Bend Clements. The Bruins held a 12-point advantage during part of the 4th quarter. West Brook's Jordan Garrett (No. 4, left) bobbles the ball as he's hit by Fort Bend Clements' Dylan Thorwaldson (No. 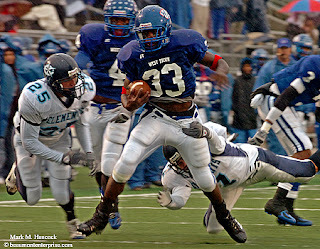 25, right) during the Class 5A Division II area-around playoff game in Houston. West Brook lost the game 36-33 and is finished for the season. Central Medical Magnet High School seniors Adriana Gomez (right) and X'alexis Rawlins (left) share lunch and conversation during a visit from Ugandan representatives at the school in Beaumont on Tuesday, Nov. 13, 2007. The vice president of Uganda is a medical doctor and sent representatives to arrange exchange students in America. 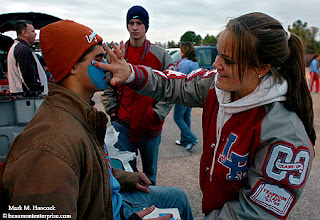 Lumberton High School junior Ashley Mauer (right) paints the face of Brandtley Matthews (left) before the Lumberton Class 4A Division II playoff football game against LaMarque in Baytown on Friday, Nov. 23, 2007. Lumberton's Jacob Hanna (No. 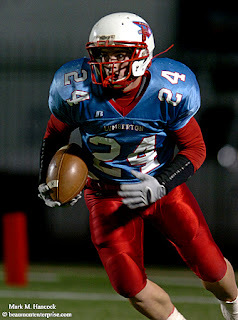 24) runs back a kick during the playoff football game against LaMarque. Hanna scored one Raider touchdown. Lumberton's Cody Hussey (No. 5) runs for his second touchdown during a playoff football game against LaMarque. 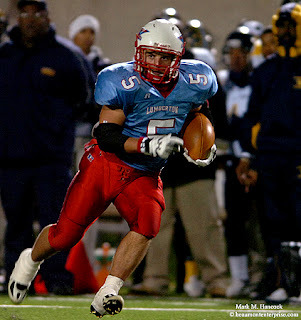 Hussey accumulated 267 rushing and receiving yards during the game. Lumberton's Jacob Hanna (No. 24, right) puts pressure on LaMarque's Jarius Kerlegan (No. 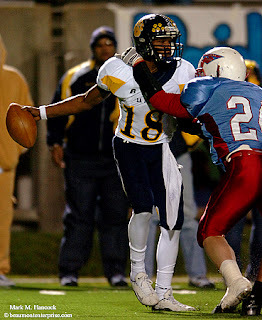 18, left) during the Class 4A Division II playoff football game in Baytown. Lumberton won 24-21 and moves to the regional final. 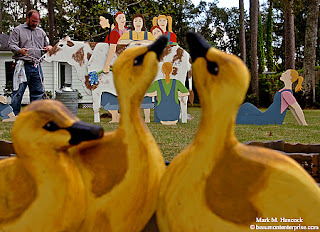 John Hughes installs an "Eight maids a-milking" lawn ornament at his parents' home on Thomas Road in Beaumont on Wednesday, Nov. 21, 2007. 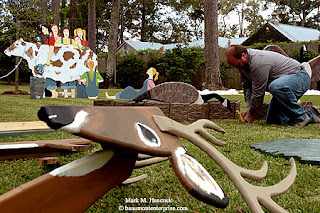 John Hughes installs parts of the "Six geese a-laying" lawn ornament at his parents' home on Thomas Road. Hughes's and his wife Sharon have hand-design and presented a new ornament of the 12 Days of Christmas to his parents for the last 10 years. 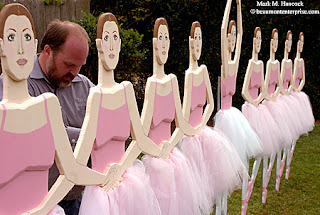 John Hughes installs the "Nine ladies dancing" lawn ornament section at his parents' home on Thomas Road in Beaumont. The newest addition, "10 lords a-leaping" will be added this Christmas. Kelly's Donnie Carona (No. 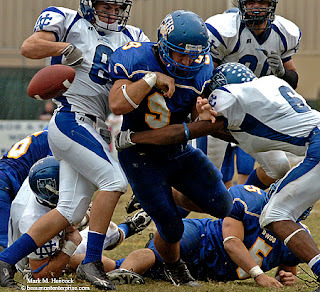 9) waits on the kickoff during a first-round TAPPS Division I playoff game against Fort Worth Nolan at Kelly High School in Beaumont on Saturday, Nov. 17, 2007. Kelly's Anthony Fazio (No. 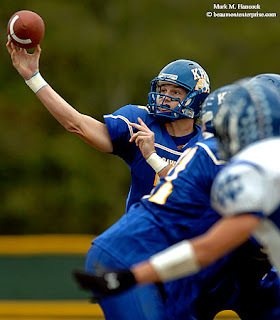 7) throws a pass during a playoff game against Fort Worth Nolan Catholic at Kelly, also a Catholic high school. 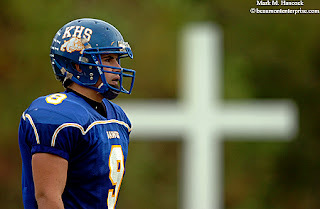 Kelly quarterback Anthony Fazio (No. 7, center) gets surrounded by Fort Worth Nolan players during a football playoff game at Kelly High School. Kelly's Donnie Carona (No. 9, right) gets hit by Fort Worth Nolan's Michael Shields (No. 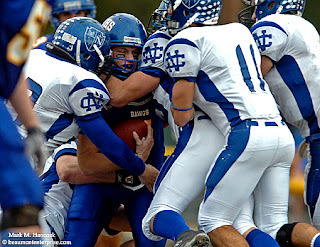 6, left) during a playoff football game. Kelly's Donnie Carona (No. 9, left) dives for a touchdown and is facemasked by Nolan's John Phillip Boudreaux (No. 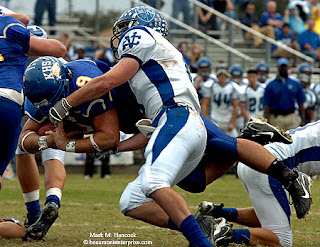 8, right) during a TAPPS playoff game at Kelly High School in Beaumont. Kelly entered the game undefeated for the season. Fort Worth Nolan's John Phillip Boudreaux (No. 8, left) strips the ball from Kelly's Donnie Carona (No. 9) as Nolan's Michael Shields (No. 6, right) makes a hit during a first-round TAPPS playoff football game at Kelly High School in Beaumont. Kelly lost the game 28-24 and was eliminated. If you're shopping for gifts for photographers or photojournalists (PJs) in your life (or want to drop a hint to your parents or significant other), I've compiled this little list of useful items under $100 and under $50. There's also some stocking stuffers at the bottom (under $25). The trick is to order before Dec. 1 to get the equipment before the holidays at a reasonable shipping price. Pro PJs shopping for their own inventory probably would prefer rooting through the PJ Candy Store because the list is more complete. 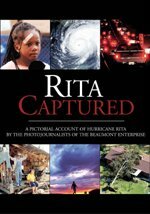 Books and photo-related software are always safe and appreciated gifts. Otherwise, you'll need to know a bit about the PJ. Find out what equipment they already have. Most importantly, you'll need to know the camera system they own. I'll try to list item below in the most useful order for new photographers. This is a PJ's primary support. The legs on this unit make it critical for VJs and PJs moving toward video. I got one recently and can't imagine life before it. I just got mine and already love it. It comes with a small elastic rain cover for the entire bag. It's not deep, but it's long enough for a 200mm and still has lots of room. It's still better to add a 200mm pouch. You may need to hand sew some elastic bands inside the lid to hold a dry reporter's notebook. This gets a flash off camera and helps eliminate red-eye. A palm-sized mini-DV recorder can be mounted instead of a flash to handle both at one time. The best starter height. Two are better than one, but one is better than none. These vests were designed for PJs. Mostly film shooters use vests anymore, however new PJs may opt for a vest to be easily "recognizable." These make flashes fire when another flash is fired. Powerful enough for most uses. This item is useful for everything from camera to light support. It's light and small enough to fit in a camera bag and works as a backup or special use support. A great piece for someone starting to "get" lighting. Small, durable and effective as part of an infrared trip cord system as well. Also works as a very stable tabletop tripod. This adds height to the item above for quality directional lighting. I can't shoot without mine. I paid almost double this price locally. These waders work great in floods. They also have quick disconnect suspenders to keep PJs from drowning if they fill with water (or fire ants). 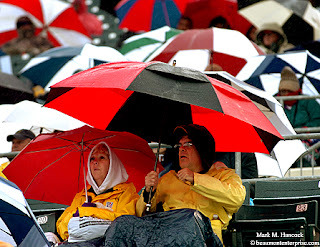 This is useful for most indoor sporting events. It won't damage the floor (or out-of-bounds players) while saving PJs a chiropractic visit after a hoops tournament. This is extremely inexpensive and very useful for flash filtration. The samples fit over most flash heads. Get two books and have a spare to replace damaged gels. This is probably the single best bargain of all photo supplies. Put some of these in regular lightbulb sockets to ease eyestrain, save energy and make every neighbor jealous of your home photos. Can be used as a cumulative bank light, to provide a cool, low-power, continuous light source. Some folks really love these. If this is your softener of choice, you'll need a white, green (for Fl) and gold (for tungsten) one to match your specific flash. Azden omni-directional Lavalier microphone lapel mic. Unit includes lapel clip and can attach to most digital audio devices as well. Protects against sun, heat and rain damage.